The creator of the World Wide Web once said that his invention mirrors human nature, both for good and for bad. As anything can happen online and children are the most prone to cyber wrongdoing, selected here are some of the best parental controls for Android cell phones in 2018. Parents have become accustomed to monitoring their children’s PC activity. However, smartphones pose an altogether different problem, even though the software functions in basically the same way. Such apps are needed because the child will ultimately step away from the computer, yet they always keep their phone with them. On this matter, there are two chief options a parent must assess: whether to spring some cash for a paid version with lots of possibilities or stick with free apps that still do a proper basic job. Both alternatives are thoroughly covered in this article. Ok, so how to put parental controls on Android? mSpy is a comprehensive parental control software – meaning that it is available for multiple platforms and can track the large majority of a smart phone’s actions. Furthermore, it is one of the best known and most marketed such application. Though popularity does not always equal excellence, for reasons of compatibility, ease of use, and subscription flexibility, mSpy is the recommended mobile supervision solution for most people. There is no complicated procedure for installing mSpy’s parental controls on an Android device. In a few minutes, we succeeded on a recently bought Samsung Galaxy S7 smartphone. You need to create an account and pay the fee for the preferred subscription on the website. Next, you will need to install the actual app on the phone from the Google Play store, following the sequence of instructions. When all the steps are completed, mSpy is relegated to the background of the Android system and becomes invisible to the phone’s user. The whole operation did not take more than fifteen minutes. Monitoring of the desired Android apps starts immediately after installation, and the results are available (almost in real time) through mSpy’s console. This console can be accessed from any web browser through the initial username and password, and has a look reminiscent of the WordPress dashboard, in the sense that it is quite intuitive. 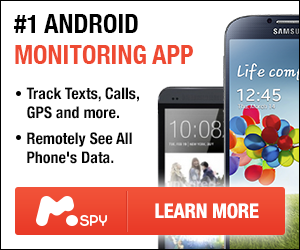 mSpy is compatible with 4.0 and more recent versions of the Android operating system. The subscription options at mSpy are varied, depending both on the types of operating systems you wish to monitor and the length of usage (a month, 3 months, or a year). For these periods, the customer can choose to monitor just smartphones or tablets, just computers (at a fraction of the price of mobile devices), or the lot of them under the “family kit” option. There are two caveats to the situations described above: when choosing for the individual plans, you will only be able to have the monitoring software active on a single device at a time (though you can switch between terminals); and where the most basic plans are concerned, several often used apps (like Hangouts, WhatsApp, or Skype) will not be tracked. All in all, mSpy offers something for everyone and, if you have a good idea of what you want out of a parental control service, then you will find something to suit your fancy for an adequate sum. Anywhere from $29.99 per month for a single phone to $479.97 per year for a complete package (android, ios, and windows). While mSpy is a dedicated parental control solution, McAfee Total Protection stakes its claims on the market with a more holistic protection software. The package features three services to make sure the online world becomes a safer place: an antivirus program, parental control, and a host of features that address security problems individually. McAfee offers its services including the parental control for Android, iOS, MacOS, and Windows. As far as strength in breadth goes, it is superior to the competition, not to mention a price that other such premium suppliers cannot come close to. As mentioned above, McAfee’s parental control monitoring is part of something more akin to a software suite and is sold per year. The prices specified here are for the first year of access, and subject to many modifications (we have encountered variations above $20). Currently, nevertheless, the single device option costs a mere $24, for five machines $39.99, and for 10 terminals an attractive $44.99. Considering that this offer is irrespective of operating system, there is no wonder that McAfee constantly maintains its popularity. Android phones and tablets are most comprehensively protected than all the other – adding to virus threats, customers have data back-up, Wi-Fi protection, anti-theft, anti-spam, encryption software and app privacy. The company also boasts 24/7 customer support. However, this service does not come near to what single focused providers such as mSpy offer. Where the quality of each comes under scrutiny, this versatility is also McAfee’s Achilles heel. At least when parental controls are concerned, it does not come near to what mSpy can offer. About a third of the apps in mSpy’s list of monitorization are missing. Furthermore, McAfee advertises instant messaging supervision, yet customers list this as the no. 1 problem when listing the parental control’s deficiencies. Ultimately, it would have been impossible to conceive, create, and deliver a solution that covers so many online security dangers, each at the very highest level. And at such a low cost. $24 at a minimum, for one device. Parental control is just one of many security services. Effective in the basic monitoring tasks. Not really a dedicated parental control solution. Ordinary individuals may not fathom how complex today’s marketing is, and how detailed markets for children are conceptualized. Zoodles is a web browser specifically designed for very young children because what can be appropriate for a ten-year-old, may startle one five years younger. While not a comprehensive parental control app, it does a great job of what is supposed to do. In addition to the Android version, Zoodles also works for iOS and Windows, and there are constant plans to add new features and improve the existing ones. You can forget, for a while at least, about Chrome’s parental controls for Android, though older children can deactivate Zoodle in an instant. It is hard to ask for a free application the performance of a mSpy or a McAfee, therefore free integral monitoring software is hard to find. Spyrix Free is a program of this sort, as it only lets you see in real time what your kids are doing online. It does, however, store important data, such as which apps have been accessed when, and that data repository is good for a whole week. Nevertheless, it does not block pop-up content. Therefore, a parent should objectively assess their kid’s online security risks and turn to Spyrix Free Keylogger only after their child has reached a certain age. The key idea behind KidLogger seems to be taken from an old spy B-movie – monitoring the child’s clicks and what they type. While this not might seem so useful in an era where nobody really writes on the computer anymore, texting on their mobile phones is another thing. This is where the program gets put to good use. KidLogger is also able to keep a track of websites visited and apps opened and closed. The parent can also listen in on Skype chats thanks to the sensor-activated sound recorder. In addition to having an inspired name, Qustodio is the leading candidate for the title of best free parental control software. As is the case with almost every other such programs, there is also a paid version. However, most people should not bother with it, as the free one is also pretty comprehensive. An interesting feature, besides the basics (blocking inappropriate content, monitoring of most apps), is that you can limit the time your child spends on a device by setting schedules. This is an amazing option because specialists warn that a leading cause of depression amongst youngsters is the isolation brought on by too much exposure to computers and smartphones. Qustodio is a cross-platform program, not limited to Android. The items considered above are supposed to give the reader a general idea of what are the top parental controls for Android, both free and paid. Due to peer pressure and sheer pervasiveness of technology in our daily lives, children are exposed to smartphones, tablets, and computers at an ever earlier age. Those who manufacture software of this type have still got a long road in front of them to provide better solutions. Nevertheless, premium options such as mSpy and free solutions like Qustodio do adequate jobs for the requirements of the present.